HomeDaily BitesDoes last date extension for claiming ITC a real relief? The Finance Ministry announced extending the due date for claiming input tax credit (ITC) for the period July 2017-March 2018 by five days. 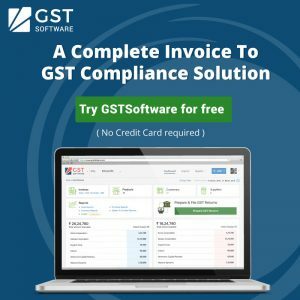 Citing understanding by trade and industry relating to the last date for availing the ITC for the first year of GST, the last date for furnishing return in the Form GSTR-3B for the month of September 2018 is extended up to October 25. 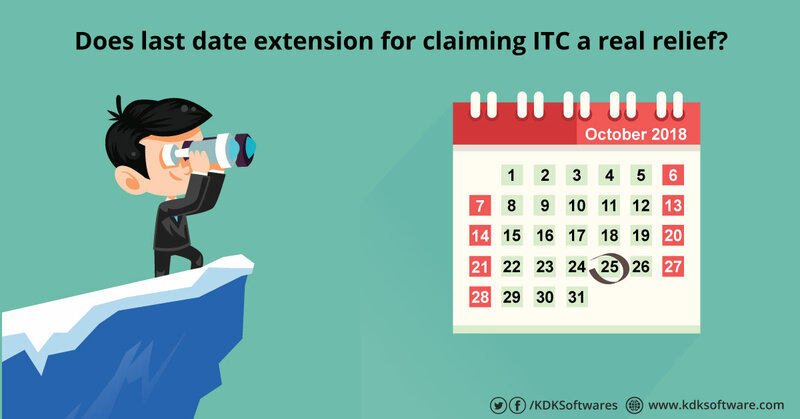 The extension of the said due date also implies that the last date for availment of ITC for the period July 2017 to March 2018 also gets extended up to 25th October 2018. However, on October 18, the Finance Ministry had said that due date will not be extended. Rules say that a registered person shall not be entitled to take input tax credit in respect of any invoice or debit note for supply of goods or services or both after the due date of furnishing of the return under Section 30 for the month of September following the end of financial year to which such invoice or invoice relating to such debit note pertains or furnishing of the relevant annual return, whichever is earlier. Accordingly, the return for the month of September had to be filed by October 20 while last date for filing annual return for financial year 2017-18 is December 31. It means October 20 was the last date for availing unclaimed ITC. On the last day of the filing, assessees faced various technical glitches and hence the government has taken a pragmatic approach to extend the deadline by five days. It is required that the relevant stakeholders solve technical glitches proactively. The assesses have become habitual of the filing extensions but that may surprisingly not happen for the big deadline of filing of annual return. While the businesses who could not file the return by 20th can avail of the extension, this doesn’t really help most large companies, who would have already filed their return by working overtime. Since there is no facility for amendment of the return, these companies cannot claim the credit which they might have missed. To provide relief to industry, the due date should at least extend till 20th November so that credit can be claimed in October return. This is extremely critical as amount of credit at stake is huge in many cases. Earlier, various industry bodies and CA body requested extending the date on the grounds that very little time was left to complete the paperwork. They said the due date for filing Income Tax Return and Audit report was October 15, which means businesses have just 5 days to prepare their input tax credit claims. Another problem is that any wrong entry will prove costly. The Consequence of incorrect claim of input tax credit are grave (in terms of interest at 24 per cent) and hence tax payers are yet to identify and claim correct input tax credits.